A new study published in PLOS ONE suggests that “postabortion trauma syndrome,” a term used to describe a mental health problem said to be commonly experienced by women who choose to terminate their pregnancy, may have very little basis in real life. 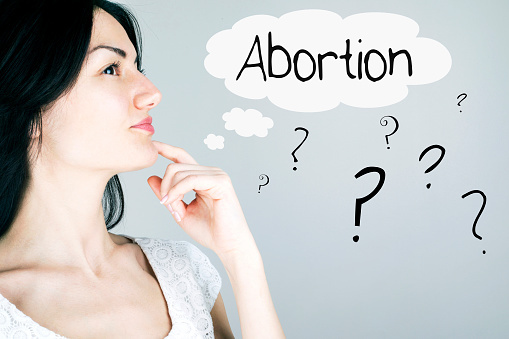 The study, conducted by a research group at the University of California, San Francisco known as Advancing New Standards in Reproductive Health (ANSIRH), reveals that 95% of women who opted for an abortion believed it was the right choice for them and they exhibited no significant evidence of postabortion trauma syndrome. Involving a total of 30 clinics across several states, researchers spoke to 1,000 women between January 2008 and December 2010. Out of the 1,000 women, 667 chose to seek an abortion within the first trimester or within two weeks under the clinics’ gestational age limit. Researchers followed these women for a three-year period, during which the participants completed phone surveys based on their thoughts and feelings towards their abortion. More than half of the participants told researchers that the decision to abort the fetus was difficult or very difficult. However, immediately following the procedure and throughout the three-year follow-up period, 95% of the women who opted for an abortion believed it was the right decision. Furthermore, researchers found that positive emotions towards their decisions, such as relief and happiness, outweighed negative emotions linked to postabortion trauma syndrome, including regret, anger, or guilt. Women who made the decision to abort on their own were more confident in their choice compared to those who had partners who expressed a lack of sureness or were opposed to the termination. Researchers discovered no core differences or correlations regarding emotional response to the decision to abort between those who sought termination in the first trimester and those who terminated later. The study went one step further to compare the mental health of women who opted for abortions compared to those who carried an unwanted pregnancy to term. Based on their data, researchers concluded that both groups displayed similar degrees of anxiety and depression, ruling out abortion as a conclusive cause of mental health concerns. ANSIRH hopes that the results of this study will encourage courts, including the Supreme Court, to alter the way they make their decisions regarding abortion rights and restrictions, including mandated waiting period and state-prescribed counseling laws. McNamee, D., “Abortion: 95% of women do not regret procedure,” Medical News Today web site, July 14, 2015; http://www.medicalnewstoday.com/articles/296756.php.